When a studio halts production on a TV series, it's most often a permanent move. But on rare occasions, a show will sometimes be brought back for additional episodes and seasons, as with "Family Guy" and "Arrested Development." Such is also the case with "Unforgettable." The CBS crime drama made its debut in the fall of 2011 but it was canceled due to low ratings in May 2012, after just one season on the air. Ardent fans of the series weren't having it -- they heavily campaigned for the show's return and now, they're finally getting their wish. "Unforgettable" will soon return to prime-time with a second season packed with much more action than the first. 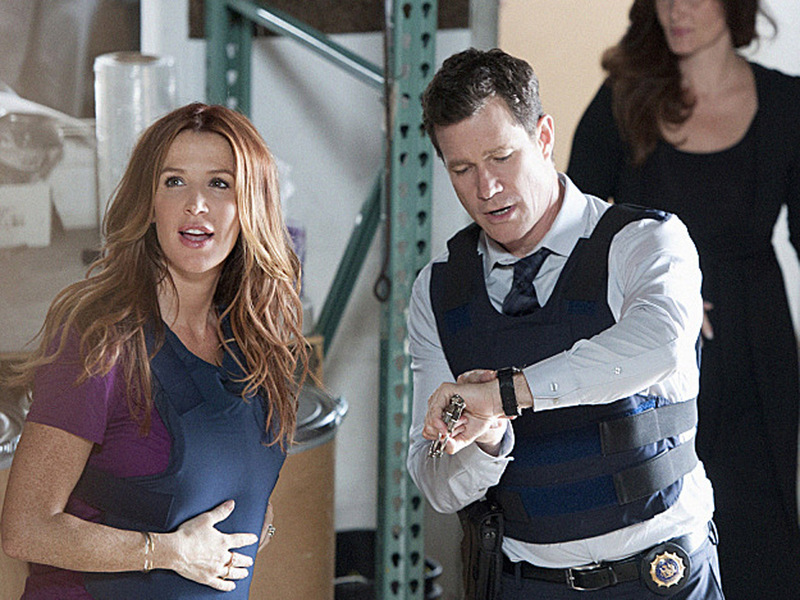 "Without a Trace" star Poppy Montgomery reprises her role on "Unforgettable" as lead character Carrie Wells -- an NYPD detective who has the unique ability to remember every waking moment of her life. Montgomery says the increase in action scenes has actually been a plus after giving birth to a baby girl, Violet, in April. "Any baby weight I have to lose, the show is definitely helping me with that," Montgomery said while on set. "I'll go run and kick that door open 97,000 times." Watch the video above to see Montgomery and her co-stars -- Dylan Walsh and newcomer to the series Dallas Roberts -- speak about the show's revamped return. The second season of "Unforgettable" premieres Sunday night at 9 p.m. ET on CBS. Tell us: Will you be tuning in to "Unforgettable"?